A 24 y.o. presents to the ED with a three week hx of a neck mass and sore throat. Our patient had an infected branchial cleft cyst involving the L lobe of the thyroid; so probably the 4th branchial cleft. Although branchial cleft abnormalities are congenital abnormalities, they present in early adulthood with fistulas and cysts. Phylogenetically, the branchial apparatus is related to gill slits. In fish and amphibians these slits do not fuse and become gills. The name branchial comes from branchia which is Greek for gills. The second branchial cleft accounts for 95% of branchial cleft abnormalities. 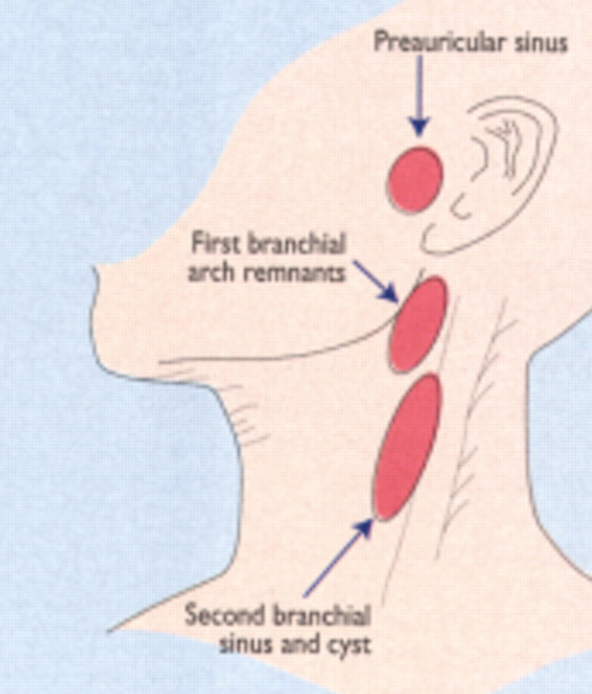 They are most frequently found on the anterior border of the upper third of the sternocleidomastoid. The cysts can become infected after a viral infection because they contain lymphoid tissue beneath their epithelium. Any patient who presents with an abscess of the thyroid probably has an underlying branchial cleft fistula communicating with the pyriform sinus. Our patient underwent drainage of his abscess which grew strep constellatus. Since 20% recur if infection is present he is being followed by ENT. Doi O, Hutson JM, Myers NA, McKelvie PA. Branchial remnants: a review of 58 cases. J Pediatric Surg. 1988 Sep23(9):789-92. Goff CJ, Allred C, Glade RS. 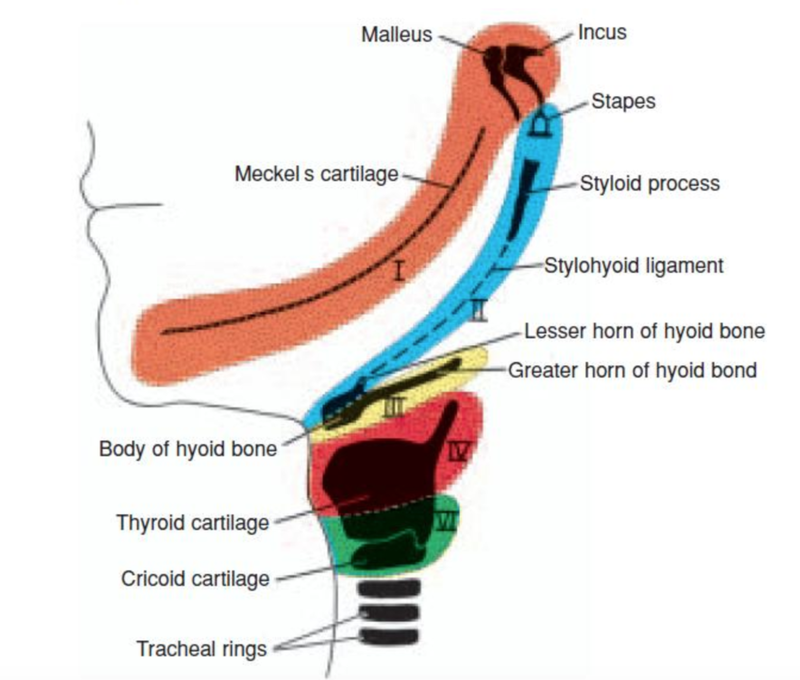 Current mansgement of congenital branchial cleft cysts, sinuses and fistulae. Curr Opin Otolaryngol Head and Neck Surg 2012. Dec 20(6) 533-9. Valentino M, Quiligotti C, Carone L,Branchial cleft cysts. J Ultrasound 2013 16(1) 17-20. Benson MR, Dalen K, Mancuso A et al. congenital anomalies of the branchial apparatus; embryology and pathologic anatomy. Radiographics 1992 Sept 12(5) 943-60. Newer PostA 28 y.o. male has lesions in the liver; what could cause this? Older PostA 23 y.o, presents to the ED with carpopedal spasms, you notice something unusual on exam of his skin.